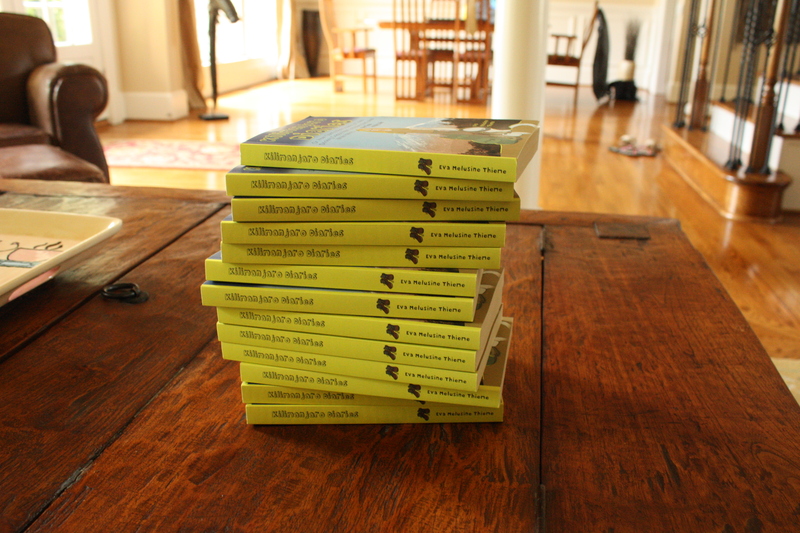 Book Publishing Milestone: Paperback Out the Door! After months of wading knee-deep in paragraph styles, margins, and those devilish Word section breaks I’ll soon tell you more about, it feels almost anticlimactic. It feels more like I want to take a long rest, especially from all things keyboard and word processor. And yet I do want to celebrate this milestone, because that’s what it is. Every writer toying with the idea of one day writing a book has an image in his or her mind, and it’s not of a Kindle screen. It’s of an actual, physical book she can hold in her hands, leaf through, and otherwise mostly gaze at adoringly for hours. It looks good in so many places! Copies of it piled in a stack! Randomly tossed onto the coffee table! Next to a mug of freshly-made cappuccino! 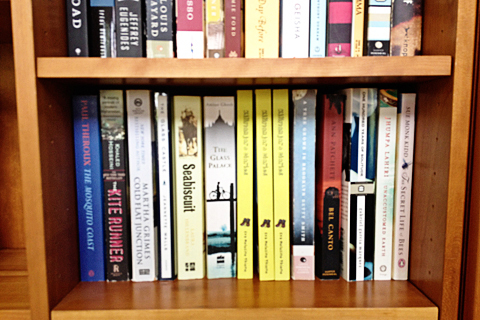 In the bookshelf next to your favorite authors! In a selfie with your sweaty tennis outfit on! Maybe this is why I’m pretty confident books will never be obsolete. Maybe the readers don’t care how they’re consuming a good story and will opt in ever greater numbers for the electronic convenience. But authors never will give up on publishing their works in a good ole book. It’s too nice to see your own name on one. 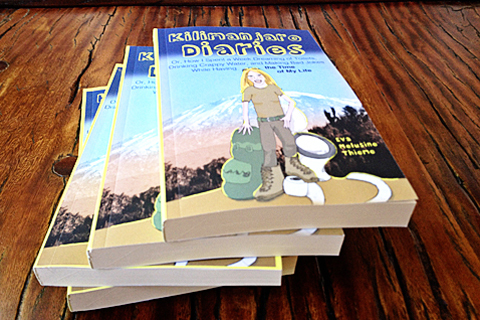 Here’s where you can order Kilimanjaro Diaries, the Paperback: United States: Amazon.com, UK: Amazon.co.uk, Germany: Amazon.de. If you don’t live in any of these countries or prefer the Kindle version, you can order it from these Amazon stores: Amazon.com, Amazon.co.uk, Amazon.de, Amazon.in, Amazon.fr, Amazon.es, Amazon.it, Amazon.co.jp, Amazon.com.br, Amazon.ca, Amazon.com.mx, and Amazon.com.au. 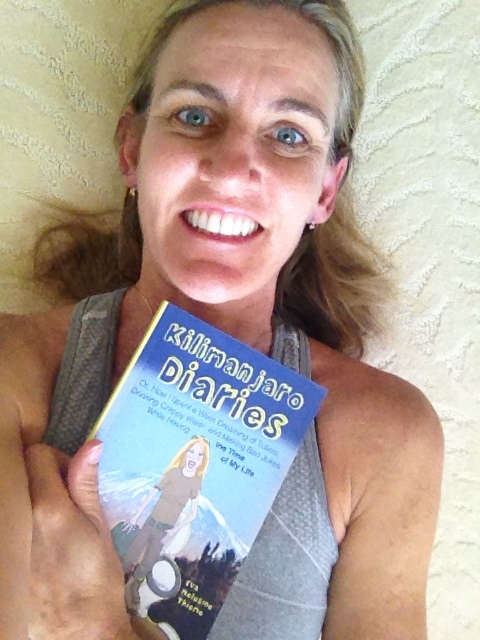 …and in a selfie with my sweaty tennis outfit on. You’re welcome! And I can’t wait to see your name on Sandton Places, that’s very cool. The main reason I decided to go through createspace & develop a physical version is because I wanted to get that package in the mail and actually have a copy of my book in my hands. That has got to be an amazing feeling!! Thanks! Yes, it is an amazing feeling, though I didn’t think it was as amazing to me as everybody else has said (or as I had envisioned it). Or if it was, it was very short-lived, followed immediately by the “yikes, now I’ve got to sell this” feeling. And selling it, let me tell you, is the hard part. Maybe some people are happy just to hold their books, but I’m competitive by nature and to me the ultimate validation as a writer will only come if people actually read it. Otherwise the whole thing is too close to a vanity press for comfort. So are you also publishing a book? How far along are you in the process?